LeeAnn Janissen received her PhD in particle physics from Carleton University in 1993. Her doctoral work was the measurement of the tau-lepton lifetime with the OPAL experiment at the LEP accelerator at CERN. Following her doctorate, Dr. Janissen began her career in the capital markets and has over 25 years’ experience in the financial services industry, first with the Fixed Income and Derivatives Group Citibank Canada, and then with TD Securities in Toronto and London England, where she held the title of AVP, Vice President and Director. During this time, Dr. Janissen obtained an MBA from the Roman School of Business at the University of Toronto. During a 6 year hiatus between capital market roles, LeeAnn pursued a long time interest in ceramics. Dr. Janissen currently divides her time between her ceramic art practice and her role as Managing Director of Research at East Coast Fund Management Inc. where she is a quantitative research specialist and oversees the firm’s research team. Dr. Janissen has maintained close ties with the physics community, serving on the Board of Directors of the Canadian Light Source from 2008-2013. In addition to being a member of the CAPF Foundation Board of Directors, LeeAnn is also actively engaged in the craft community. 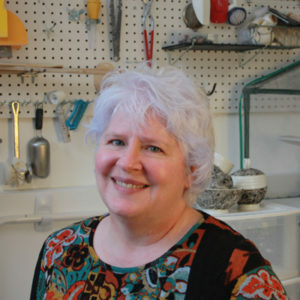 You can visit her ceramics practice website at Janissen Ceramics or view Dr. Janissen’s personal profile by Physic in U.K.